Gatwick Airport made the headlines in the run-up to Christmas thanks to the chaos caused by multiple drone sightings. Tens of thousands of passengers were stranded amidst days of disruption, leaving many confused about their rights. So, if you find yourself in the unfortunate position of being stuck at an airport, whatever the reason, what should you do? It’s also worth noting that if you’re flying to or from an EU airport, or with an EU-based airline, if your flight is delayed by three hours or more, you’re entitled to receive the same compensation as someone whose flight has been cancelled. There’s lots more information on your rights on Citizens Advice. Note that airlines aren’t legally obliged to offer compensation if the reasons for the delays are beyond their control, as in the case of the 2010 Icelandic volcano eruption, or with the drone chaos at Gatwick before Christmas. Practically speaking, what can you do when you’re waiting around for hours at an airport? If you’re flying short haul, your airline should provide you with food and drink vouchers if your flight has been delayed by two hours or more. If you’re flying long haul, the delay rises to four hours or more before you’re entitled to this benefit. 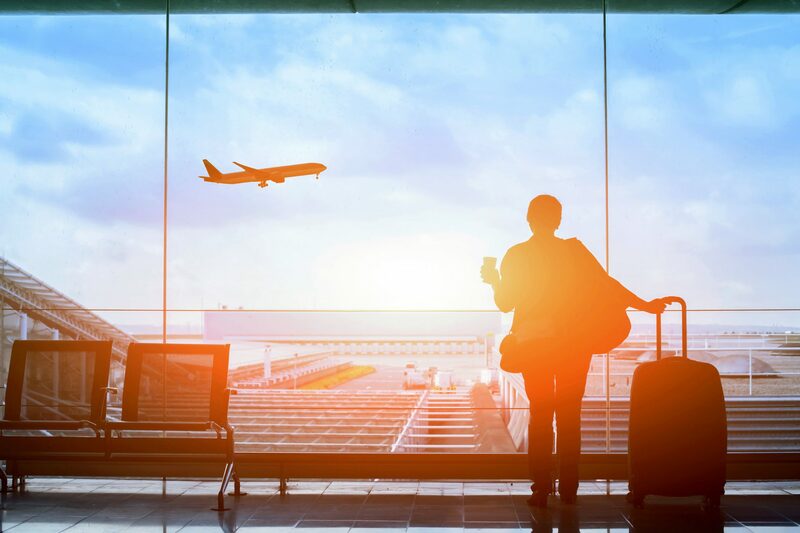 If a flight cancellation or delay results in you needing overnight accommodation, the airline will also need to arrange a hotel for you, as well as transport to and from it. If you’re not offered these things, and you’ve tried speaking to an airline employee, then save receipts for everything you need to pay for as a result of the delay. These can be used to help claim compensation later on, but don’t forget that airlines are only obliged to cover ‘reasonable expenses’ – so don’t go ordering Champagne and lobster thinking that your airline will pay for it. Can you claim on your travel insurance? Flight delays and cancellations are one of the many reasons why it’s worth taking out travel insurance as soon as you book a holiday. Some policies mean you’ll get financial compensation if you miss a flight, or if your flight is delayed or cancelled. Depending on the options you select when you take out your policy, you may also be able to claim on your travel insurance for things airlines won’t cover, such as extra nights of accommodation, or other expenses incurred during a forced extended stay (car hire, for example). Claiming on your travel insurance should be a last resort, so contact your airline in the first instance, and if you don’t receive a satisfactory response from them, you can also make use of the CAA’s Passenger Advice and Complaints Team. Different insurance providers have different coverage for these sorts of issues, so always read your policy documents carefully or call your insurer if you’re not sure whether you’re covered. Contact us if you’d like to get a quote for travel insurance. ← What’s in your business disaster recovery plan?